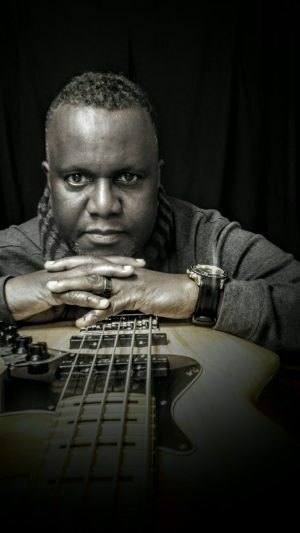 Mark Hampton is an unbelievable bass player, songwriter, producer and multi-instrumentalist. Mark comes from a long line of musicians in his family and he credits his mother for his passion for Jazz. As a child his mother played all the greats from Miles to Wes, The Crusaders and Grover Washington as she was cleaning the house. Those early impressions of jazz influenced Mark’s musical taste. However, it wasn’t until his brothers began to play instruments that Mark found his home on bass at the young age of 14. Since then Mark has recorded multiple CD’s in Jazz and Gospel. He has toured nationally and has played with top musicians. Remarkably Mark has been away from the Jazz scene for 30 years pastoring churches and running his consulting business. Now Mark returns to jazz in a powerful way with his ROOTS project!